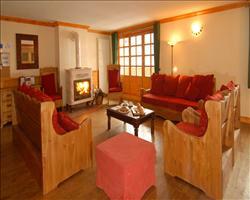 We update Chalet Bonne Neige's details often, but facilities do change. e.g. some extras listed by the supplier as "free" or included might only be for the first time you use them, or for one time per party, then charged for further use. If any specific feature is essential to your holiday, make sure you ask us to confirm the details of it before you book your holiday. This all inclusive holiday to Chalet Bonne Neige in Val d'Isere, France departs Saturday 14th December 2019, for a 7 night stay on a "catered chalet" board basis. A local tourist tax (Taxe de Sejour or Kurtaxe) is levied by many councils in European ski resorts. It varies by standard and type of accommodation and is age dependent, so not everyone is charged. It's not included in the basic price of your holiday and is usually paid locally. For reference, the average charged in winter 15/16 was between 50p and £2 per person, per night. Val d'Isere lift pass price last reported as €294 (adult 6 day). 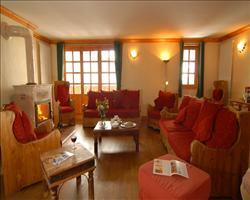 Ask for a quote when booking Chalet Bonne Neige. 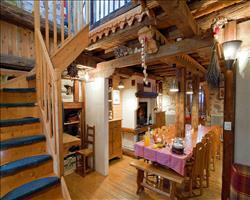 Chalet Lores Val d'Isere France, Gatwick to Grenoble 14th December. 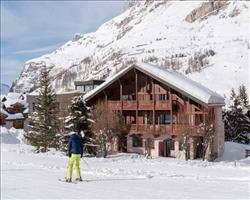 Chalet La Vieille... Val d'Isere France, Gatwick to Grenoble 14th December. "So nice we stayed there twice"
This is set in a perfect location. Walk across the road and you have a bubble, chair lift and funicular to take u to the top of the learner zone or to another chair to the drop to Tignes! We went the year before the upgrade and year after and it was nice before the upgrade. 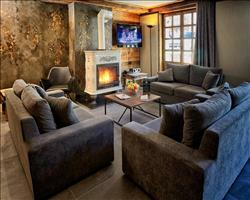 The upgrade has kept the charm of the cozy chalet with added modern bathrooms and steam room! Will our chalet host was outstanding and really made us feel at home.... For access to the whole Espace Killy this really is the chalet you want! We stayed in the early part of April, and a great holiday. 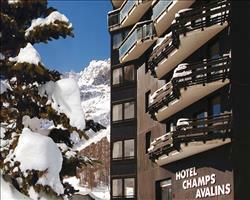 The location is great - just across the road from the lifts and funicular. The food was fantastic and the host brilliant. The chalet itself had some drawbacks: the storage of skis and boots, and fitting area is basically the narrow hallway into the chalet. The lounge area is very small and not very comfortable. There is no downstairs cloakroom, so if you need the loo and are staying on the top floor it's a trek. And mind your head in the top, back, bedroom - the beams are low. 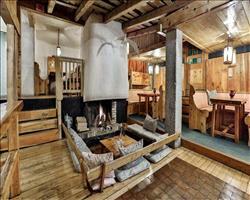 "Perfect chalet location and host"
We loved the Bonne Neige. The chalet is ideally located for beating queues on buses/lifts and for less crowded slopes on the ski home at the end of the day. Our host Gemma was very welcoming and cooked fantastic food all week to fuel us through our holiday. Vegetarian options were fantastic and my partner said all the meat dishes were restaurant standard. 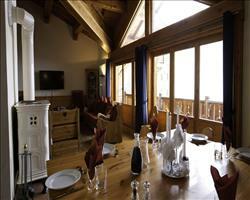 The rooms were standard chalet-sized, and bathrooms were well-equipped. My only (very small) niggle, was lack of storage space and maybe a bed-side table would be good. But otherwise, we were more than comfortable. "Near the lifts and quieter than Val centre"
Skiers and holiday makers of all persuasions will be happy staying in this delightful chalet. Opposite two lifts (La Daille bubble car and Etroits chairlift), skiing back to your accommodation in the satellite village of La Daille couldn’t be easier, with lengthy runs of all difficulty returning back to base, including the legendary World Cup Downhill course. All the bedrooms are en suite (check this) to add further comfort. What’s more, for a touch of lux' check whether the steam room (on the first floor) will be operational on your dates. 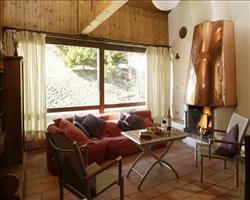 "Near the slopes with live-in hosts"
It is in a great location right across the road from the piste / Gondola. At least one of the en-suites has low ceiling and have to watch your head, however they are newly refurbished and really nice to use. The staff live in down stairs which is pretty normal for a catered chalet in the alps, but not to everyones taste so worth mentioning. I found the snowboarding a bit challenging but it was a bit hard packed and you can't book great weather/snow I guess. I think the Espace Killy is amazing once you are intermediate and higher because its so incredibly big, but the best on the Val d'Isere side is probably from red runs and upwards although there are miles and miles of blue if that's your level.